The Customer Service representatives of MiltaryByOwner Advertising field many questions, both by phone and through our online chat service. Questions vary, but one of the most frequently asked is, Can you move my pictures from our old ad to a new ad? The simple answer is Yes, we can move them...but we don’t think you’ll be happy with the result! What the question really comes down to is, Is it better to renew an old ad or create a new one for the same property? If you are planning to use photos from the old ad, you’re better off renewing the old one and updating. When you move photos to a new ad, they will resize again, causing them to look smaller and not enlarge correctly. Make sure your contact information is current! Double check the schools, as redistricting happens. Should I Create a New Ad? You really don't need to create a new ad when advertising the same property. Be sure all of the information is current: availability date, photos, description, price, etc. I hope this helps you make a decision on whether to renew or place a new ad. 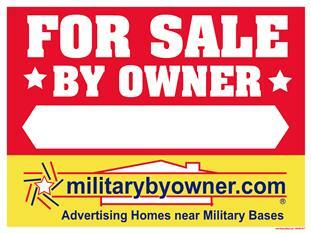 Remember to check out MilitaryByOwner frequently for your housing needs, as the website is updated daily! And remember that MilitaryByOwner Customer Service reps stand by to answer your questions by phone, live chat, or email.